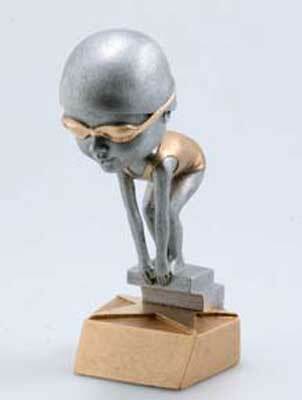 Are you looking for a unique swimming trophy for your swim meet? 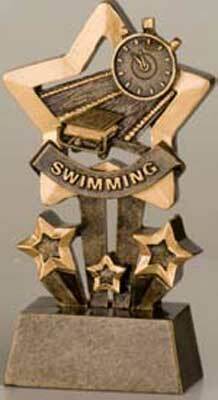 We offer a large selection of resin swimming trophies. They make great awards for a swim meet. They are perfect for young swimmers, male swimmers and female swimmers. 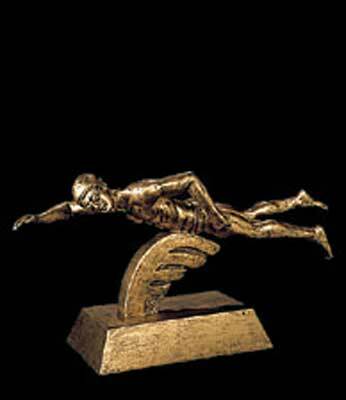 Some of the resin swimming trophies are available in multiple size options. If you do pick a resin swimming trophy that has more than one size option, when you click the size you want, the price automatically changes in the YOUR PRICE section under the picture. 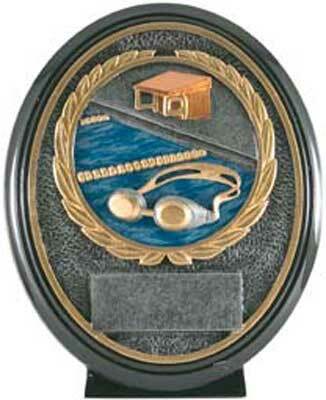 All of our resin swimming trophies come with 40 characters of FREE engraving. Anything over 40 characters is $.07 a character. The price of your extra engraving will not be figured in your shopping cart. We will send you an e-mail with the extra charges. When you purchase 12 or more, at checkout you will receive an automatic discount at 12, 50, 100 and 250 resin swimming trophies.